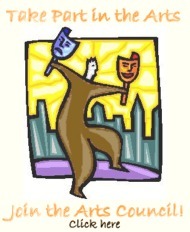 Give and get involved with the PNC Arts Council. It's an exciting and rewarding way to support the arts and the community! Donate and support the restoration of the historical Ellis Theatre as the PNC Arts Council transforms it into the Philadelphia-Neshoba County Visual and Performing Arts Theatre. Donate and support annual fundraising events. Attend PNC Arts Council events. For more information, contact Sharon Deweese, Executive Director, at 601.656.9838 or via email at pncarts@pncarts.org.